Bahasa Indonesia or Indonesian is the official language of the Republic of Indonesia and is spoken by over 237 million people. Most islands also have their own indigenous language which is spoken by the locals, however Bahasa Indonesia unites the whole country. Balinese is spoken in Bali, while in Lombok the local language is called Sasak. Indonesian is fairly easy to learn, as most letters represent the same sound and the pronunciation is very similar to English. Below is a list of useful phrases that might come in handy on your next trip to Bali. How are you? Apa kabar? I'm good! Baik baik saja! What's your name? Siapa nama anda? Do you speak English? Bisa berbicara Bahasa Inggris? Can you help me? Bisa bantu saya? Where are you from? / Dari mana? Where are you from? Dari mana? Where are you going? Mau ke mana? Cheaper possible? Bisa lebih murah? What time is it? Jam berapa sekarang? 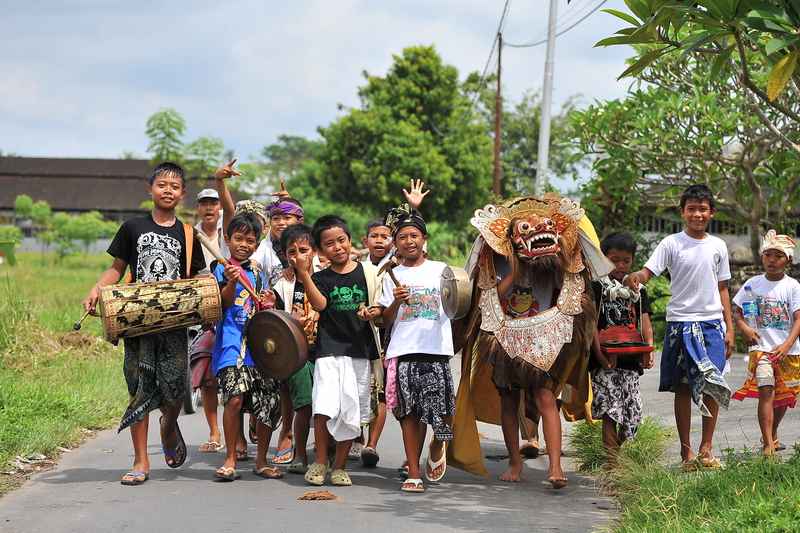 You'll impress the locals in Bali by also knowing a few Balinese phrases, like "Kenken kabare?" ("How are you?") and "Matur suksma." ("Thank you. "), and might even get a better deal when bargaining at one of the local markets! © 2013 PT.KURAKURA All Rights Reserved.